Jaipur is the capital city of the Indian state of Rajasthan. It is 260 km from Delhi and 240 km from Agra and forms a part of the most chosen tourism golden triangle of Delhi, Agra and Jaipur. It is a very busy business centre with age old charm that attracts travelers from all around the world. The city was planned under the commission of King Sawai Jai Singh II by Vidhyadhar Bhattacharya, a Bengali architect and has also some of the most wonderful monuments to visit and has a rich cultural history with a large number of monuments and temples for the tourist to visit. 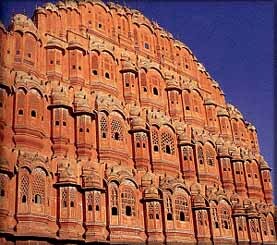 We at Touristplacesinindia.com provide you with complete information on all that you want to know about the History of Jaipur. The city was founded by Raja Jai Singh II, a Rajput in the year 1727 AD. This city was planned to be built when there was scarcity of water in Amber. It was the first planned city in India and so the king took great interest while designing this city of victory and consulted several books on architectures before planning the layout of the city. After several battles with Marathas, Jai Singh took special steps to look after the security of the city and focused on scientific and cultural interest to make the city a unique one. 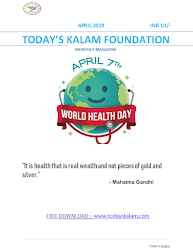 He was a great lover of Mathematics and Science and built the world famous observatory Jantar Mantar in Jaipur. The construction of the city started in 1727AD and took around four years to complete the major palaces. The city was formed following the principles of Shilpa Shastra of Indian Architecture and is divided into nine blocks out of which two consist of state buildings and palaces and the remaining seven blocks were allotted to the public. To ensure security, huge fortification walls were made along with seven gates. The architectural features of the city were certainly one of the best in those times in the Indian subcontinent. The city was painted in pink in 1853 to welcome the Prince of Wales when he came to visit India. From that time the city came to be known as the “Pink City”. Rajput architectural excellence can be traced in various historical and aesthetic palaces and monuments that abound the city. Some of the famous monuments of in the city which will give you a glimpse of the history of Jaipur include the City Palace, Amber Fort, Hawa Mahal, Jaigarh Fort, Jantar Mantar and the Nahargarh Fort. Touristplacesinindia.com is an international travel site and a repository of useful information about History of Jaipur.